My first encounter with the Merlin Bird ID app was during an optics demonstration in Austria in February 2017. I was immediately captivated by this highly user-friendly, interactive package and its capacity as a tool to aid identification of birds in the field. 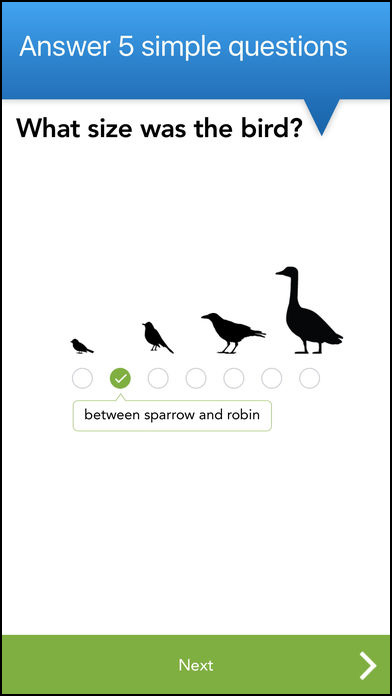 Produced by the Cornell Lab of Ornithology, it was originally released in 2014, to identify species by asking users five questions about the birds they were observing. After seven years of development, it has been significantly enhanced and upgraded to include photo ID functionality, adding a completely new dimension to the identification process. 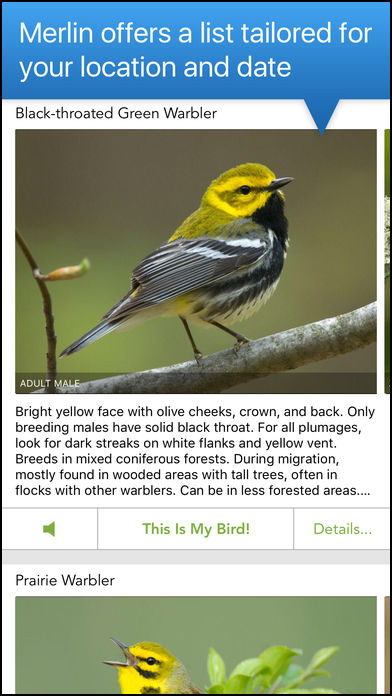 On opening the app, the home screen presents options to ‘Start Bird ID’, ‘Photo ID’, or ‘Explore Birds’. Selecting the first of these prompts a series of questions about the sighting, including location, size, colour and habitat. The app then presents photos of the most likely candidates. 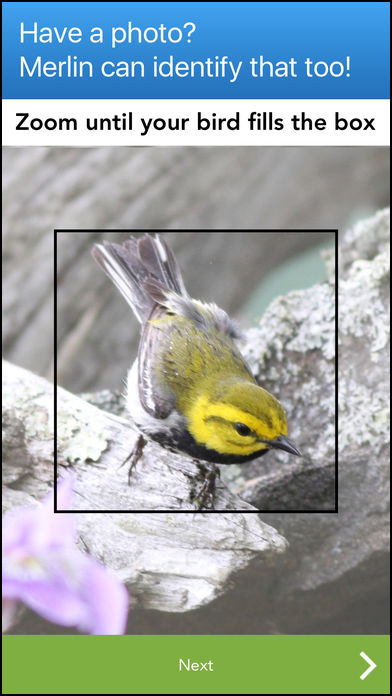 Selecting a candidate species brings up a larger image with accompanying text outlining key identification features, along with information on behaviour and habitat preference. Scrolling through each species provides further images of plumage variations, while tapping the icons at the foot of each page takes the user through to sound recordings of songs and calls and distribution maps. The ‘Explore Birds’ option allows users to browse by family or to search for an individual species. So far, so routine. However, last year’s Photo ID enhancement constitutes a landmark development in bird identification through the application of image-recognition technology. The user is given the option to either ‘Take Photo’ or ‘Choose Photo’, with the former automatically opening up the phone’s camera. Once an image is selected, a black rectangle appears around it with a request to zoom in until the bird fills the box. The user inputs date and location, and an image of the most likely candidate appears; this is presented at the top of a list of ‘probables’. 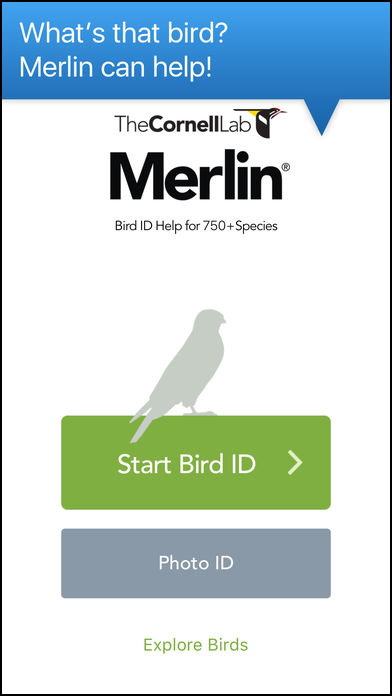 If happy with the identification, the user taps ‘Yes, This Is My Bird’ and the result is automatically fed back to Merlin to improve future accuracy. In the event of a ‘No Match’, the user can amend their answers and the image can be resubmitted. Persistent no matches are fed back to Merlin. A successful identification is reliant on the submission of an image of reasonable quality. If the image is so poor that a human can’t identify the bird, then Merlin will almost certainly fail. With an image of sufficient quality, though, it is said that the successful identification rate runs at approximately 90 per cent. I trialled Merlin ‘live’ in the field and also ran some tests on existing images stored on my phone. In most instances the identification was correct, with the right bird appearing at the top of the list of ‘probables’. If a species is sufficiently distinct in terms of plumage detail, proportions and shape, the image doesn’t have to be of a particularly high quality, as I discovered when I put the app to the test on Northumberland’s Cackling Goose, which was present in Budle Bay in mid-October 2017. Having located the goose feeding in a field with Barnacle Geese, at a range of around half a mile, the app went into action at 70x magnification and a low-resolution, slightly blurry phonescoped image of two dozen Barnacle Geese and a Cackling Goose emerged. Zooming into Merlin’s crop box produced an even blurrier image of the Cackling Goose but, two taps later, there it was – a correct identification at the top of the list. Very impressive! The app correctly identified this blurry Cackling Goose. It didn’t work so well with an even more distantly phonescoped sleeping Todd’s Canada Goose at the same location. With the head and neck obscured, the bird presented as an unidentifiable brown ball and Grey Partridge was Merlin’s favoured option. The app correctly identified Raven, Carrion Crow, first-winter Caspian Gull, Cattle Egret, House Sparrow and numerous other species. Unfortunately, it did not seem to favour an image of an obvious, though blurry, Pink-footed Goose, categorising it as the second option below Greylag Goose. Merlin is still very much a work in progress, constantly being upgraded and enhanced by the addition of new features and improved performance. This relies very much on feedback and input from users. The app has more than one million images to power Photo ID, while thousands have been donated by photographers to build the reference section. Users should download and install the appropriate Bird Packs for the regions in which they will be running the app. Currently there are packs covering Britain and Ireland, Scandinavia, Western Europe, USA, Canada, Mexico, Guatemala, Belize and Costa Rica, many of which are divided into sub-regions. More regional packs are planned and not every species has been given a distribution map. At present, Merlin’s reference section covers 2,126 species and contains 4,766 audio files and 13,018 searchable images. Of these, the Britain and Ireland pack accounts for 250 species, 688 audio files and 1,602 images. 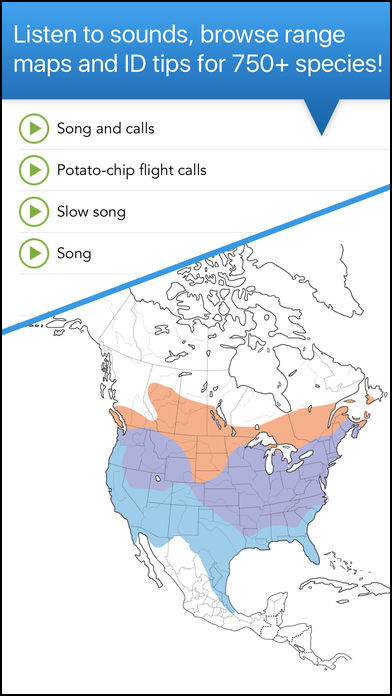 Upcoming features include showing audio spectrograms when playing songs and calls, and additional features to help users understand more about the birds around them, such as showing similar species that occur in the area which is being birded in and the addition of bar charts showing the temporal distribution of species within given regions.